Documentary filmmaking is becoming big business these days. With technological advances and so many more options for getting a film out there to the masses, you could argue that any person can pick up a camera and make a documentary about something. What’s more important and difficult, however, is making a good documentary. Christian Larson is no stranger to documentary filmmaking even though his own experiences lie in the world of music video. 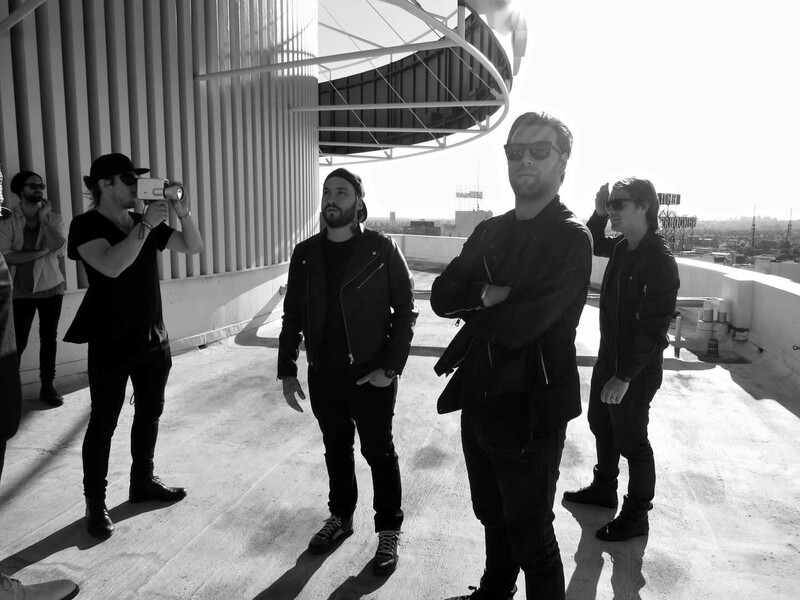 His latest project captures the last journey of music sensation Swedish House Mafia as they embark on a final tour around the world. Leave The World Behind looks to capture the raw emotion not only of the music, but of the personal developments behind the scenes. We had some time with Christian to learn more about the challenges behind making a documentary and his own relationship with the band. 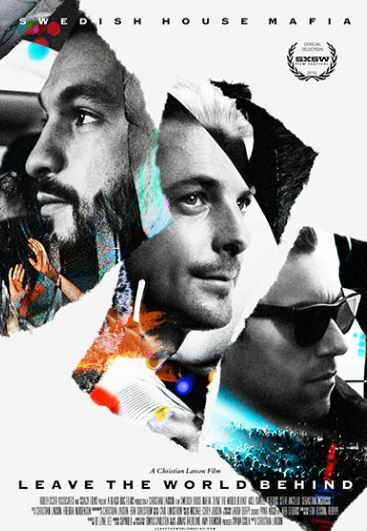 Could you tell us a bit about your relationship with Swedish House Mafia prior to this film? I met them in 2008 when they were starting together. I’d just come across their name and met them as I was starting also. They are certainly three interesting characters, and the genre of music was about to take off. I asked them if I could film them and the result was Take One. Years passed and actually they rang and asked me to get involved in this particular film. How did you personally feel about the group’s split? I’d say I was surprised about the split but I also got it. Being in a group like that is so hard and so intense. They explained the decision to me and it was quite cool and respectful. The idea was to go out on top with a bang and that’s hard to argue against. Was it challenging trying to balance the natural energy of the music with the emotions of the split? The story of the film captures the decision at the beginning, but as they go along, things change. We take that journey from excitement to hesitation about making the best decision for everyone. When I was making the film I was capturing the whole combination of emotions. You get the huge highs with thousands screaming mixed with hesitation and melancholy and I really found that interesting to observe. I would say the sadder times give more emotion to the happy music. How did your background in music videos help in making the film? I would say that my experience on music videos gave a good way to capture the live moments. I looked to make it a combined visualisation of a live experience at the concert. You’re really mixing the formats. With such a high energy you feel like anything goes. The viewer will see such beautiful imagery, but feel that they are there and I want to help them experience what’s on the floor and give them exactly what it’s like there. My main influence was to deliver that experience. What would you say the main differences are between working on music videos and documentaries? Oh, they are absolutely completely different. For a start there’s no script so there’s less control to an extent. All you can have as a filmmaker is a vision and you try to work the direction around what happens in front of you. Editing is the control and you work with what you get. I think that’s the interesting part really. You get to be the observer without influence or control and see what happens. When it works, documentary is a really powerful medium. The film seems quite open-ended, not exactly wrapped up all neatly with a bow. Was this the intention? Honestly, I would say there was no intention to leave it in any way. All I wanted was to tell the truth and to leave it how it was in reality. The images are beyond spoken word and the story is told there as you see on screen. How important is music documentary these days? I think especially here it’s really interesting to see documentary filmmaking as important to the growth of a group. It can give the fans access and make it far more personal. It’s really something that is great to be a part of. It’s certainly not a perfect match for every group but it worked well here. What does it look like? As with any film, it’s storytelling. Not necessarily a beginning middle and end, but still a story to tell. It seems a very interesting time to be a filmmaker, what with advances in technology. How do you see the industry going? It is more exciting than ever. You get some complaining over low budget, but I feel creativity wins out. What you need is a great idea. For example, with music video, you can’t just do the traditional old MTV video anymore. So much has changed and there’s no particular formula anymore. You need to work with the best people. It seems like viral clips get the views and yet they are very simple, but times are changing. It’s a great time for directors to get their work out there in various ways. It doesn’t matter how bad the music is! Could you tell us about future projects you have coming up? It’s a bit different now for me as I’m actually shooting commercials in fashion. I like to do that as it’s something more challenging and out there. Of course, I would love to do more music work and collaborations. I would say my goal is to do a feature film. Variety teaches me and inspires me to keep working. I’m not really money driven, but it can help to accomplish other future projects. I’m lucky to have the chance to work with different artists and have creative freedom which I hope will continue. Leave The World Behind is available now to rent/purchase on iTunes.